When I played pro hockey in Richmond, Virgina, it was during the era of "Slapshot!" and the Broad Street Bullies when gooning (fighting) was fashionable and an integral part of the sport. Stocking your team with two-or three enforcers meant that the finesse players could sail around the ice doing pirouettes and triple axles and dipsy-doodles without the fear of some 250-lb lumberjack from northern Quebec impaling them. I learned quickly from our coach, the legendary Forbes Kennedy (one of the toughest NHL players ever) that the way to avoid getting into a donnybrook with someone you really did not wish to engage was "Don't fookin' look at 'em!" because if they caught your eye and were staring you down, you then were forced to drop the gloves. I made a habit of staring into the eyes of all the finesse players and upon the skates of the goons. Of course, there was the odd occasion I forgot and wound up holding on for dear life when one of the Neanderthals tricked me up and forced me to drop 'em but for the most part, old "Forbie" was absolutely spot on and you could stay safe if you avoided the glaring, maniacal eyes of the Gilles Bilodeaus and Billy Goldthorpes of the world but ONLY if you just "didn't fookin' look at 'em." So, with trade wars breaking out everywhere featuring Donald Trump's bellicose insistence upon tackling the soon-to-be biggest economy in the world, it is as if the whistle has blown and play has stopped as the current POTUS stares directly into the piercing, engaged eyes of the biggest economic "goon" on the planet. It is analgous to watching Wayne Gretzky giving the "evil eye" to Bob Probert, an event that could and would NEVER happen in real life whether hypothetical or not. It is beyond surreal the interplay between a country whose super freighters are lined up offshore San Francisco and New Orleans and New Jersey and Miami just waiting to dump billions upon billions of reverse-engineered, Western-designed and very cheap Chinese goods into a completely shopping-addicted Amercian consumer pool while their political masters hold on to $1.06 TRILLION of U.S. debt, ready at the flick of a switch to be jettisoned into the global bond market causing all sorts of non-temporary dislocations. 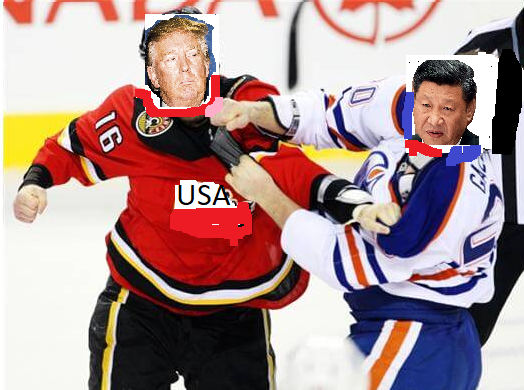 The image of Donald Trump pulling the jersey over the head of Xi Jinping (China's leader) and windmilling him into submission is simply not going to happen, so when we all read of the markets buckling under the weight of a possible "trade war," the infinitesimal collective wisdom of global market participants is handicapping this contest exactly as it should: it will NOT be a "war"; it will be a "beating" and the U.S. with all of its military might will not be the one skating first to the penalty box arms raised in victory. The S&P barely escaped a weekly close below the 200-dma as a late-Friday intervention by the boys at 33 Liberty St. in New York engineered a last minute rescue. For now, this has all the trappings of a "correction" with the S&P down 9.3% from the all-time high of 2872.87. Mind you, the 200-dma was twice before broken intraday on both Feb. 9 and last Monday, April 2. I was listening to a podcast with CNBC's Fast Money options wizard Jon Najarian where he outright admits in the existence of a plunge protection team and nowhere was it more glaringly present than Friday afternoon. Stocks were in abject freefall with the S&P dropping a big 50 points between 1:00 and 3:00 p.m. until the orders were issued and the algos went to work. Unfortunately, I believe that there exists a much more pervasive directive that is going to eliminate any talk of an equity market "bubble" leaving the stockroaches high and dry. Since we are soon arriving at the "Sell in May" month, I am of the opinion that many participants are going to exit early having just gone through a massive volatility spike and what can only be deemed a "mild" correction. After all, it was only 50 months ago that the S&P first topped 2,000, but what is incredible is that it was a little over a month ago on March 2, we had the ninth anniversary of the birth of the bull market with the low of 666.79. 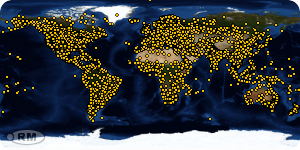 Nine years of intervention, price suppression, serial money-printing and government-sanctioned fraud has combined to form the greatest financial bubble in history and since the Deep State recognizes it for what it is, they have to pin-prick it gently in order to avoid a generational uprising, the likes of which we are already seeing in the cryptocurrency crashes. Speaking of crypto-crashes, friends of mine that still attend meetings in the bistros of Bay Street tell me that the losses incurred in the cryptocurrency deals since last summer currently dwarf the losses in pot or mining deals. As I understand it, the brokers elected to all do "non-brokered" private placements so they could safely crowd out retail and institutional clients when the allocations were decided, the result being a "Divine Retribution" outcome where these massive drawdowns in net worth are owned by the greedy financiers that went "all in" to what was expected to be the "demise" of everyone else, including their clients. "What goes around comes around" is an old adage that certainly applies in this world of unbridled avarice. Bottom Line: You want to be modestly short the S&P (via the SDS-ETF) into any early-week strength this week and consider a modest long position in the VIX (via the UVXY). I have purposely avoided the UVXY trade since I took profits in February above $25 hoping to replace it in the high single digits but it now appears as though the high teens will be about as good as it gets in the event that the SPY 200-dma caves in next week. I have repeated this many times in my commentaries but when asked what event would put the gold price to $5,000 per ounce, I have long opined that it will be "when the USS Nimitz pulls into Gibraltar for a refit and they refuse the credit card." Late last week, China and Russia implored the Europeans to boycott American goods in order to pressure them on the tariffs and that is moving ever closer to the gas pumpers at Gibraltar refusing to accept the American currency and while I doubt seriously whether the Europeans will immediately side against the Americans, Mr. Trump is positioning his country's economy and his presidency precariously. American citizens can put up with Stormy Daniels and golden showers in Russia but if prices at Walmart or Dollarama start moving northward due to tariffs on cheap Chinese cell phones and toilet paper holders, there will be hell to pay, not to mention the wrath of the Deep State against whom he is continuing to rail. 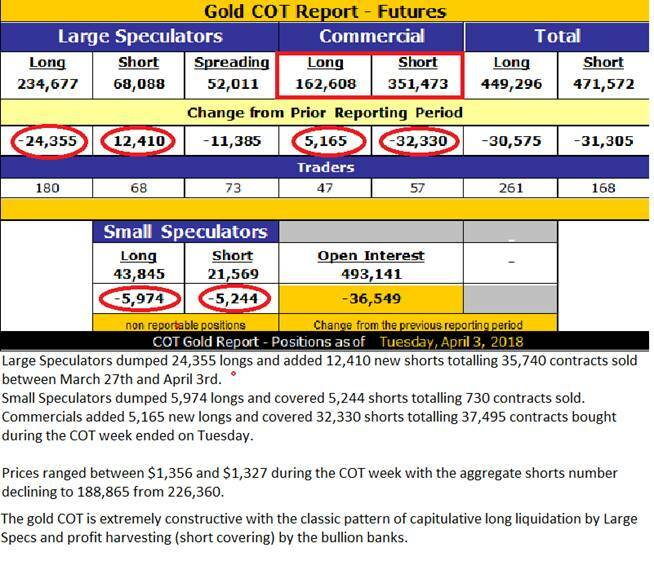 Watching gold prices this past eight weeks is like watching a five-year old at the candy counter; there is zero ability for either to make up their minds. The $1,310-1,315 level is now holding hard and true as support while the $1,365-1,375 level is like a cement wall of resistance. The algorithms that control prices have flipped from USD/JPY correlation to USD/EUR correlation while to a lesser degree the Gold/Dollar Index is just as easy to blame. Some of the gold mavens elect to completely discount supply-demand relationships as price determinants and over the past number of years that has been possibly true. Whatever your poison, gold is caught in a trading range and exiting that range will result in a violent move, whether it be up or down. 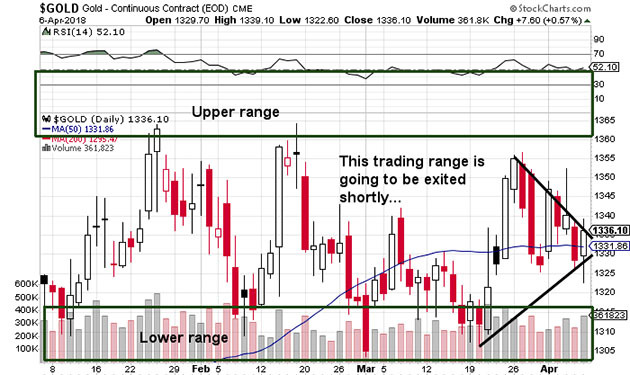 The chart looks great looking back to 2016 but over the very near term, I am looking for an upside resolution to the trading range and the $1,355-$1,370 resistance AND I need gold to hold the breakout and power higher on volume such that the Commercial Cretins have zero ability to offer sufficient (phony paper) "supply" and cap the advance. 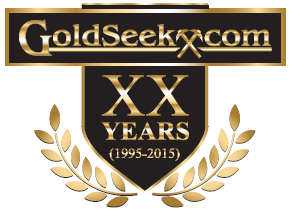 As to silver, the set-up is significantly more explosive than gold due primarily to the COT structure but also based upon the historically-high gold-to-silver-ratio from whence most major bull markets have originated. 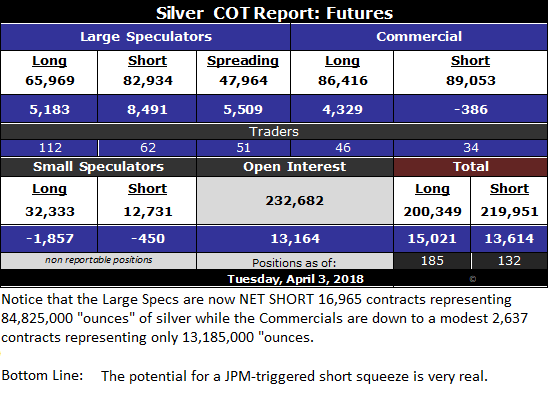 Bottom line: I own a significant long position in the SLV May $15 calls from $0.51 and having switched out of all of the April $14s at a 55% gain, I am looking to redeploy into the July $16s at around $0.40. Finally, the junior exploration and development issues are doing exactly what they have done for years, that is to say, they are going into full summer hibernation mode now that PDAC 2018 is over. 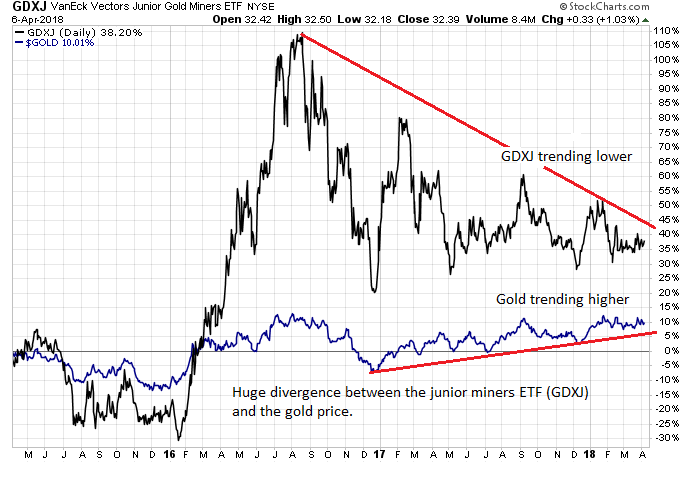 If we can use the GDXJ as our junior mining benchmark, look at this next chart that shows how the juniors have been underperforming the gold price since last summer. This aggravating condition is primarily why our micro-cap juniors are in the tank. Broken records notwithstanding, I continue to believe that the junior miners will have their day in the sun but selectivity is going to be of paramount importance. Dilution is always a concern for me when we get into cycles like this but the zone between the proverbial rock and the hard place is weighing the benefit of drilling versus the detriment of diluting. I cannot count the number of companies that think that poor market conditions will not impact a major discovery but in fact the reverse is true. Nevertheless, we have a set-up going into the summer where silver is poised for a serious upside advance (as is gold) and two of the companies I own (SRC and CDA) are exploring for and/or developing a silver resource in regions famous for silver deposits and mines (Nevada and Mexico) while a third one (BVG) is about to embark upon a big program on its Hot Springs Peaks project in the Northern Nevada Rift trend of the biggest gold-and-silver-producing region in North America. What is going to change the valuation environment for the juniors is ultimately going to be the prices for gold and silver. My validation for this is the recent 2016 advance in zinc prices from under US$0.70 to over $1.60 per lb and the coincident rash of financings, name-changes, and restructurings all contained in the zinc space that followed, not to mention the advances in share prices for anyone whose stock symbol had a "Z" in it. If I am right and we get the gold probe into the $1,400s with little brother silver as the superstar, anything with an "Ag" in it will do the same and that means that the names mentioned above are ideal candidates as micro-cap proxies for silver. Furthermore, since equities are under extreme "trade war" pressure near term, there may be ample time to accumulate these names by way of financings (SRC.V and BVG) or through capitulation by long-suffering and somewhat "tired" investors, of which I am certain there are more than a few. So let's see how this week unfolds with the all of the saber-rattling and trash talk and see if in fact Donald Trump is content with tweaking the nose of the man that runs a 2,285,000-man army versus 1,281,900 in the U.S. With numbers like these, I would hope that one of The Donald's aides takes him aside real soon and whispers into his soon-to-be-cauliflower left ear, "Don't fookin' look at him!" 1) Michael J. Ballanger: I, or members of my immediate household or family, own shares of the following companies mentioned in this article: Stakeholder, Canuc, Buena Vista. I personally am, or members of my immediate household or family are, paid by the following companies mentioned in this article: None. My company has a financial relationship with the following companies referred to in this article: Stakeholder, Canuc, Buena Vista. I determined which companies would be included in this article based on my research and understanding of the sector. Additional disclosures are below. 5) From time to time, Streetwise Reports LLC and its directors, officers, employees or members of their families, as well as persons interviewed for articles and interviews on the site, may have a long or short position in securities mentioned. Directors, officers, employees or members of their immediate families are prohibited from making purchases and/or sales of those securities in the open market or otherwise from the time of the interview or the decision to write an article, until one week after the publication of the interview or article. As of the date of this article, officers and/or employees of Streetwise Reports LLC (including members of their household) own securities of Canuc Resources, Stakeholder Gold and Buena Vista, companies mentioned in this article.